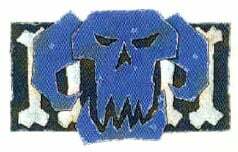 40K: Orktober – The Clans Of Waaagh! Orktober is here, and that means that it’s time to get excited for a bunch of boyz. 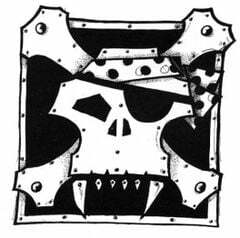 The Orktober articles have talked about six different clans for the Orks. As it happens, we have six clans right here. 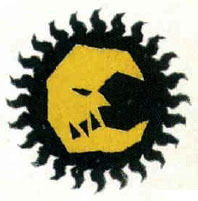 Get ready for greenskins, today we’re going to talk about the six great clans of House ork. 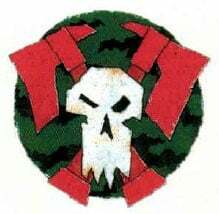 Nobody calls them that, there isn’t actually a House Ork, and even if there was it would probably be looked down on harder than most by the High Lords of Terra, but nevertheless, here are the six clans that make up House Ork. First off, what is a clan? A clan is a massive, enduring philosophical viewpoint of life. The great thinker Orkimedes once postulated that ‘thinkin’ iz for gitz, but everyone’z a git, so’s ya might as well think like some other gitz’ which has come, through the years, to mean Clans. They aren’t really a community, per se, each Clan is scattered throughout the Galaxy, and comprises many disparate tribes. But they represent the Rokk upon which all Orks build the foundation of their existence. Tribes are constantly changing, breaking apart and reforming, clan ties are stable and enduring. 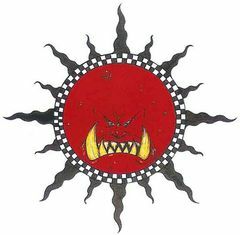 Ork Clans are not communities but rather philosophical delineations representing the various aspects of the Orkish character. Each Clan has its own colours, markings, characteristics and ways of waging war. It is possible that Clan affiliation may, in part, be a genetic phenomenon, as members of the same Clan may have physical characteristics in common that distinguish them from members of other Clans – for instance, Bad Moons are identifiable by the faster growth rate of their teeth. An Ork tribe usually contains Orks from many different clans, so when tribes fight each other Orks will often find themselves in combat with foes from the same clan. 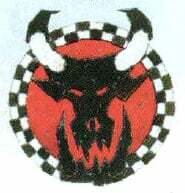 This is considered normal, as an individual Ork’s allegiance is to his Warboss rather than his clan. Despite this, inter-clan rivalry is intense. Blood Axes: Distrusted by other clans, the Blood Axes make use of “un-orky” tactics such as camouflage and even battle plans. Now interestingly enough the Kult of Speed might be coming into focus here. Speed Freeks, after all, is all about high-octane racing and explosions, which suits them to a T. Similarly the Waaagh! that has come to Vigilus is expressly called the Speedwaaagh! so perhaps we’ll be seeing some more about this mysterious Kult. Assuming we can slow down enough to get a reading. Until next time, folks, this has been Orktober Lots , here at BoLS. This has been Orktober 4th. Stay tuned for more–but in the meantime, let us know, which clan is da best? There can be only one!